Welcome to my profile! 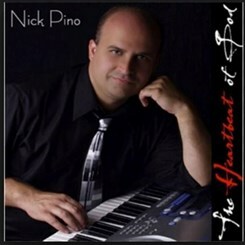 My name is Nick Pino, and I have been a piano and voice teacher with Music and Arts since May 2017. Prior to that, I have taught private piano lessons since about 1995, but I have played piano since the age of eight (my mother was my first teacher). Teaching voice is a newer discipline for me, although my experience with voice stretches, literally, from infancy - mom used to say I that was singing from the crib. I sang all the way through school and had the privilege of attending a music conservatory, where I took piano and music theory “the old school way”. I continued singing into college, where I learned the more refined aspects of vocal training through a voice class and college chorus. Teaching Styles, Beliefs, and Philosophies: A little extra background about myself - I grew up in Chile, South America, and then went on back in the US to become a K-12 language arts teacher as well as a private music teacher. I say this because my teaching styles have been pretty much the same between the two disciplines. One thing I believe is, students need to know that there can be only one shepherd at a time - and that shepherd is the teacher. Someone has to set the standard and the pace! Having said that, I believe a shepherd also leads gently, without frustrating the student and offering lots of encouragement, pointing out the students’ strengths as well as areas for improvement (I prefer not to call them “weaknesses” because “weakness” conveys a negative response). I believe also that any student who wants to improve their natural talent/ability and has an ear for music, can improve his/her craft. However, there are some students who just really do not want to take lessons, and I also believe that parent and teacher alike must listen for their interest level in the lessons. It becomes quickly apparent, just whose idea it is to take lessons ;). If it’s the parents’ idea, for example, frequently the student will easily and quickly lose interest, no matter what the teacher says. It does everyone a favor in those cases, to discontinue lessons and perhaps re-direct that student to a different interest. In other cases, though, the student just needs the right types of interesting materials to succeed at his/her talent. Finally, it is imperative that the parent, student, and teacher maintain open lines of communication to ensure the greatest level of success. •“Students don’t care how much you know, until they know how much you care.” In short, they will follow you like the Pied Piper if you validate them and listen to them. Request Lessons with Nicholas Pino today!